Research in Motion released an update for the PlayBook OS today that boosts security features on the tablet. The PlayBook OS 2.1 update adds full encryption for personal datastored on the PlayBook, an option that was already available forcorporate data, as noted in our source story from Computerworld. 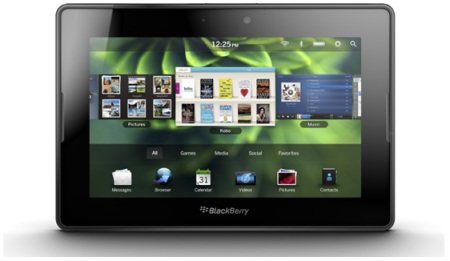 PlayBook OS 2.1 update featuresencryption for personal data. In another nod to the bring your own device (BYOD) trend, RIM alsoadded over-the-air enrollment of PlayBook devices to its Mobile Fusionservice and ActiveSync authentication, which both make it easier todeploy the tablets in the workplace. RIM also added support for highdefinition cameras and the ability to make in-app payments. The update is available as a free over-the-air download for Wi-Fi-onlyPlayBook tablets. RIM said it has sold 1 million PlayBooks so far.